On August 11, 2016, the Rajya Sabha passed the Maternity Benefits (Amendment) Bill 2016. This act regulates the employment of women during the period of child birth and adoption giving them entitlement to maternity benefits. The law is applicable to all employers employing 10 or more people. The amendments will come into effect once the same is passed in the Lok Sabha and receives presidential assent thereafter. 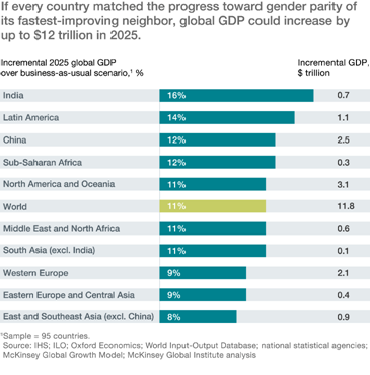 According to the new country specific study by the McKinsey Global Institute (MGI), if 68 million more women were added to the non-farm labour force over the next decade, India stands to gain the most (in percentage terms over current base) with an overall gross domestic product (GDP) being boosted by $700 billion in 2025. 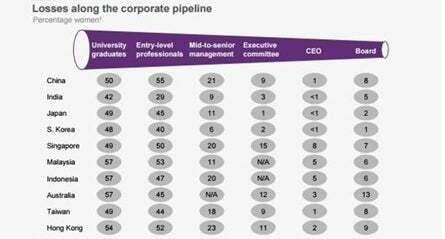 Unfortunately, women in the Indian economy are under-represented. The study also states that women’s contribution to GDP in India is below the global average of 37%. 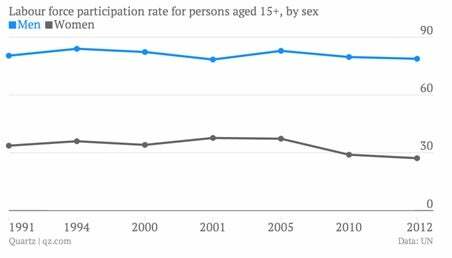 India is one of the few countries where the rate of participation of women in the workforce has drastically declined in the last decade. It fell from 33.7% in 1991 to 24% in 2014, according to UN gender statistics. But, why are women leaving the workforce in the first place? 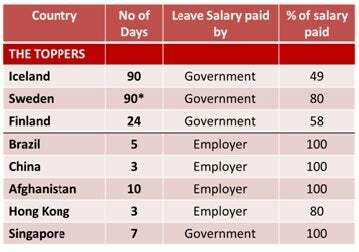 Well statistics as per the 2012 McKinsey report, Women Matter – An Asian Perspective, show that a higher percentage of working women from mid to senior positions in India are leaving their plush careers to care for their children. Lack of good child care options and inflexibility at workplace often forces women to put their roles as mothers before their own professional growth. Maternity Benefits (Amendment) Bill 2016 definitely is a great new step towards bridging the gender gap at workplaces. The bill not just allows mothers to care for their new born in the crucial first six months but also mandates employers to have a crèche/ child care facility. This certainly benefits working mothers who currently have no support to care for their child and thereby allows seamless transition back to work. Though the bill is a great start towards ensuring that women can continue to contribute to the economy of India, it still lacks some clarity. For one, the law’s silence on paternity leave is questionable. It further reinforces the age old social norm that childcare is exclusively the mother’s responsibility. The fact that only maternity leave has a statutory backing and paternity leave doesn’t, threatens gender diversity and equality at workplaces as employers may prefer to hire more men over women. We in our experience as child care providers see fathers increasingly involved in the care and growth of the child and it would be a welcome sign to see the government recognize this and possibly look at it as parenting leave as against only maternity leave. To accelerate the long journey towards gender equality at workplaces, it is imperative that we stop thinking of childcare and household chores as exclusive only to women. 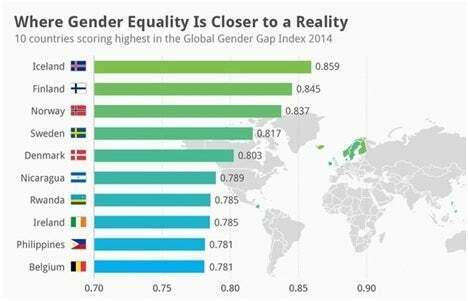 If one were to look at the Nordic countries, we can see that they have closed over 80% gender gap. The one thing that stands out in achieving this, is the introduction of family or paternity leave policies for the workforce much earlier on. Such policies allow both men and women to take time off from their careers for child or elder care and lets them return to the workforce at the same level. Further, an increase in the maternity leave to 26 weeks, means an increase in the total cost to company for employers. The prominent question that lingers with this amendment is – whether employers would be offered any subsidy or rebate to ease this financial burden? Essentially now a woman who is being hired in a child bearing age is going to be seen as a more expensive hire if there is no support from the government to employers. In addition, the provision requires employers to provide crèche/ childcare facilities within a ‘prescribed distance’, but it, in its current form, fails to define what qualifies as a prescribed distance. However, considering women will be allowed four visits to the crèche in a day, our understanding is that the distance needs to be close enough for easy and economical access to them.